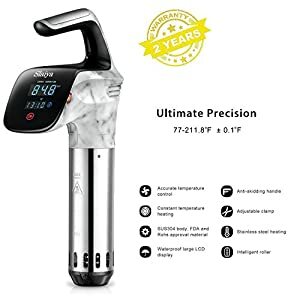 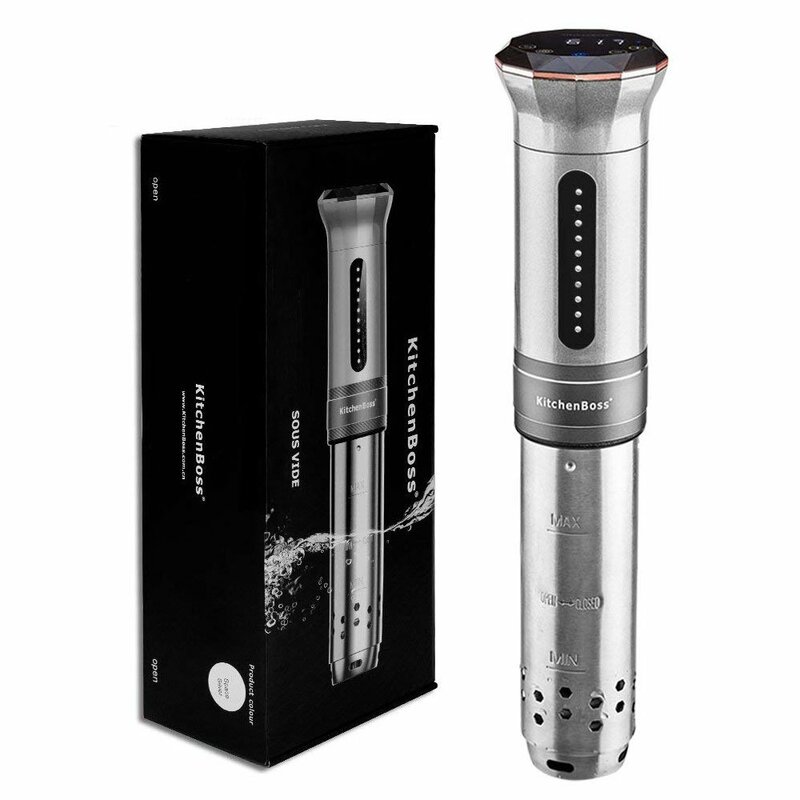 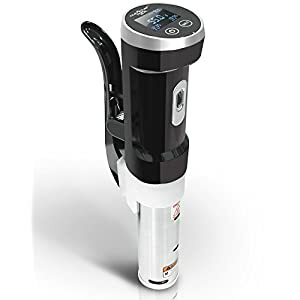 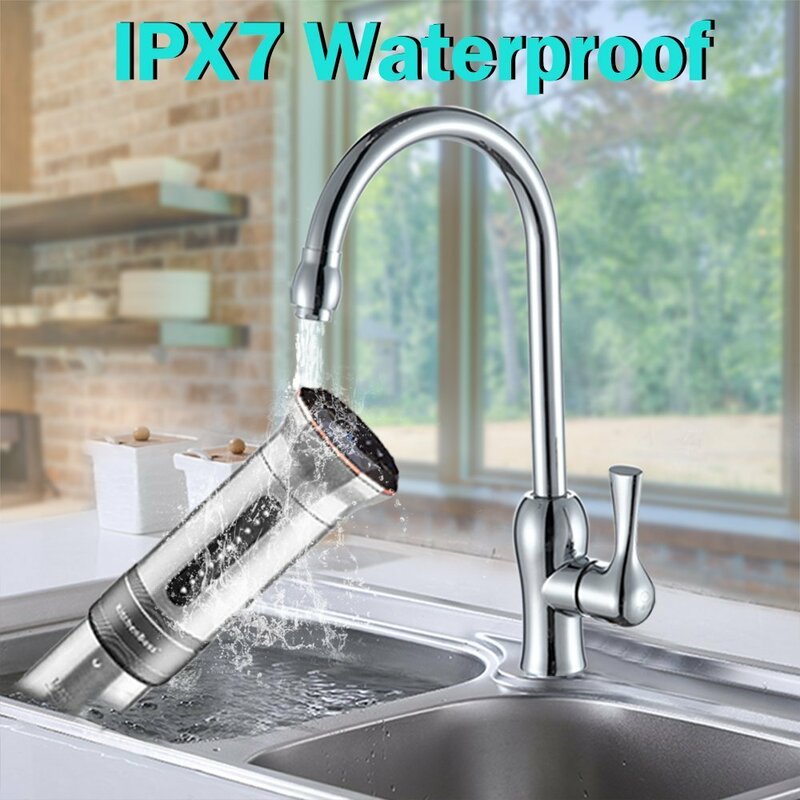 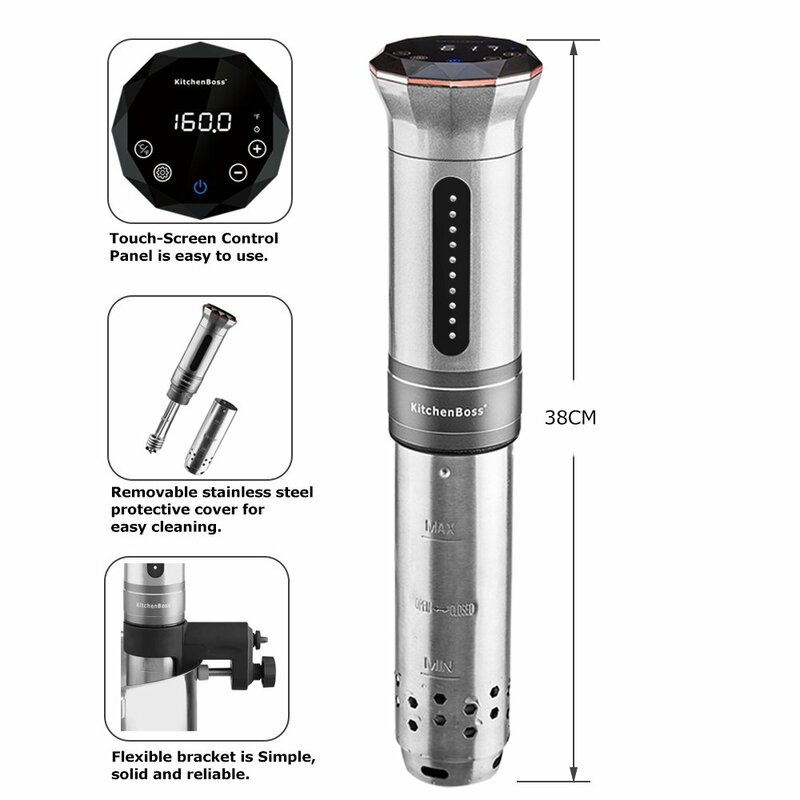 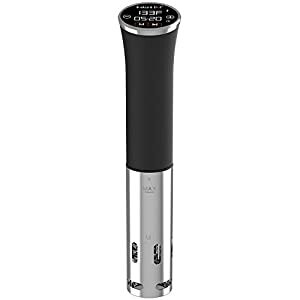 SAFE & IPX7 Waterproof: Being IPX7 waterproof certified, Kitchenboss sous vide cooker guarantees safer operation and much longer service,free from the risk of vapour permeating through the inner machine. 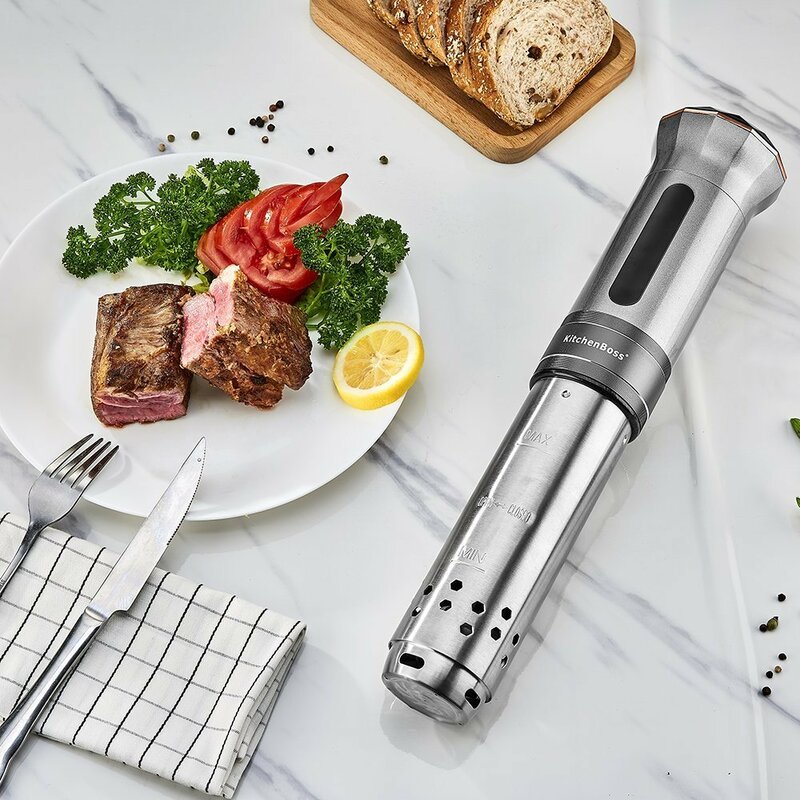 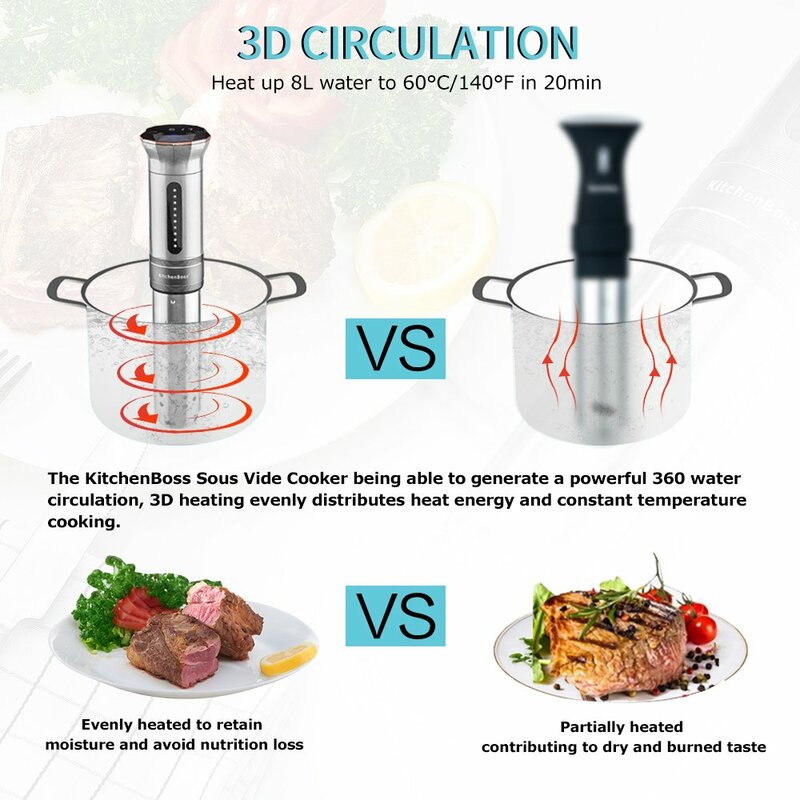 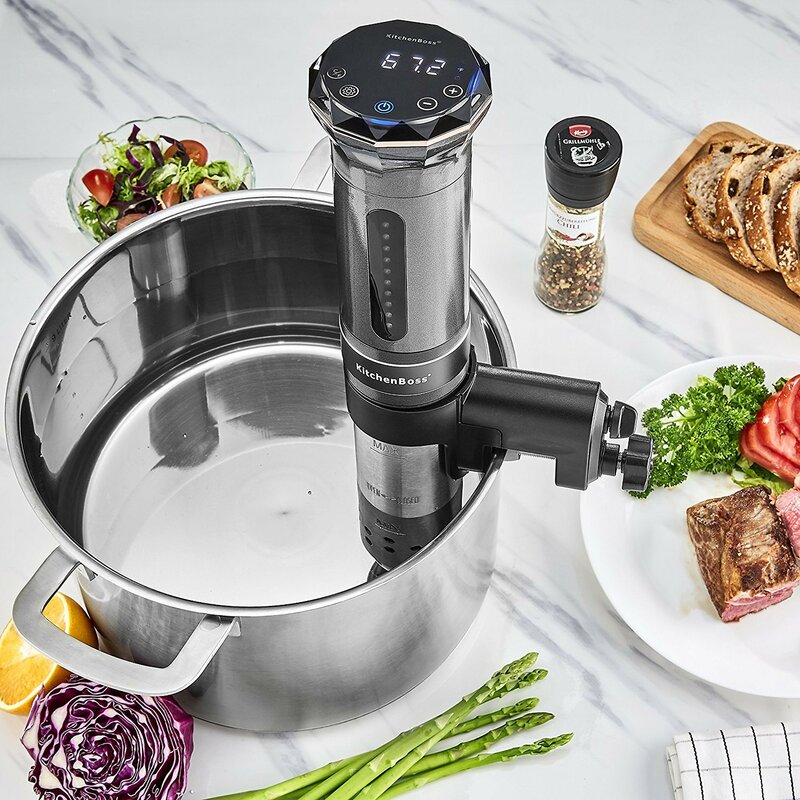 HEATS UP FAST & Heat food evenly: Kitchenboss sous vide cooker has a unique and powerful pump that will keep liquid temperature precisely as needed throughout the bath cooking process. 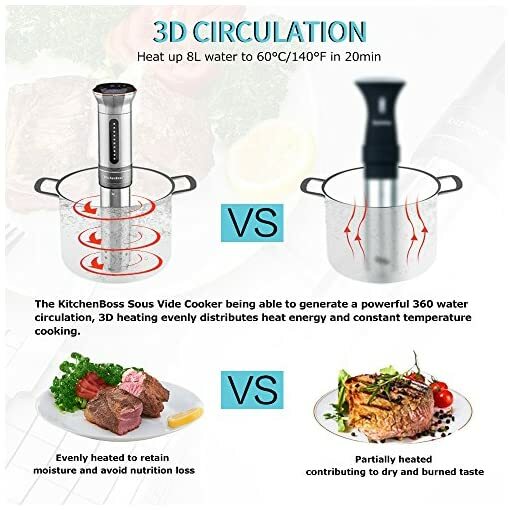 Food will be cooked evenly to perfection. 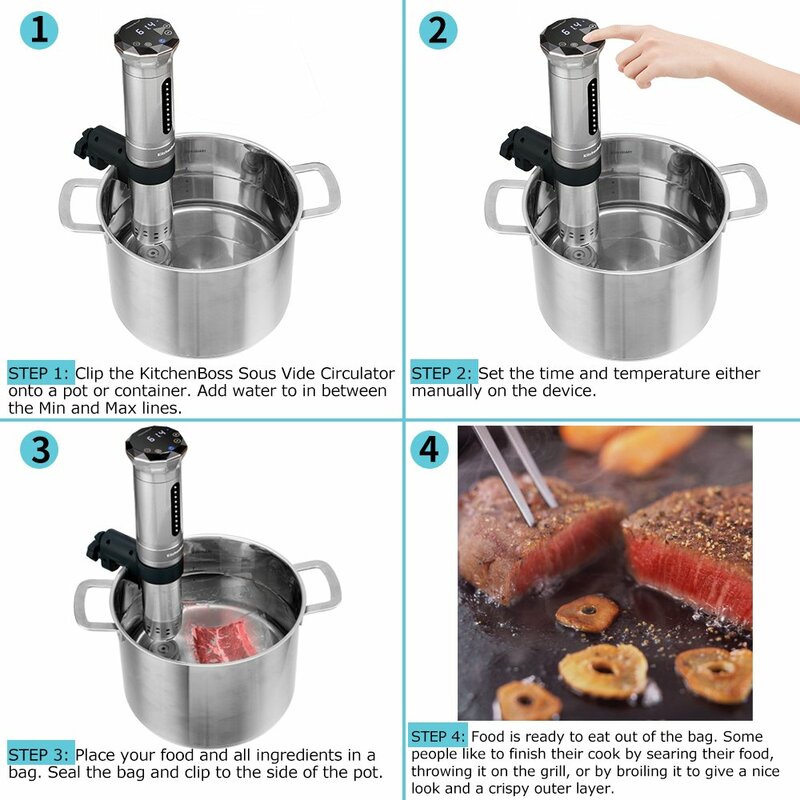 Will help you prepare the most delicious and healthy food with only perfect results. 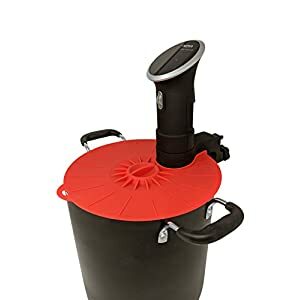 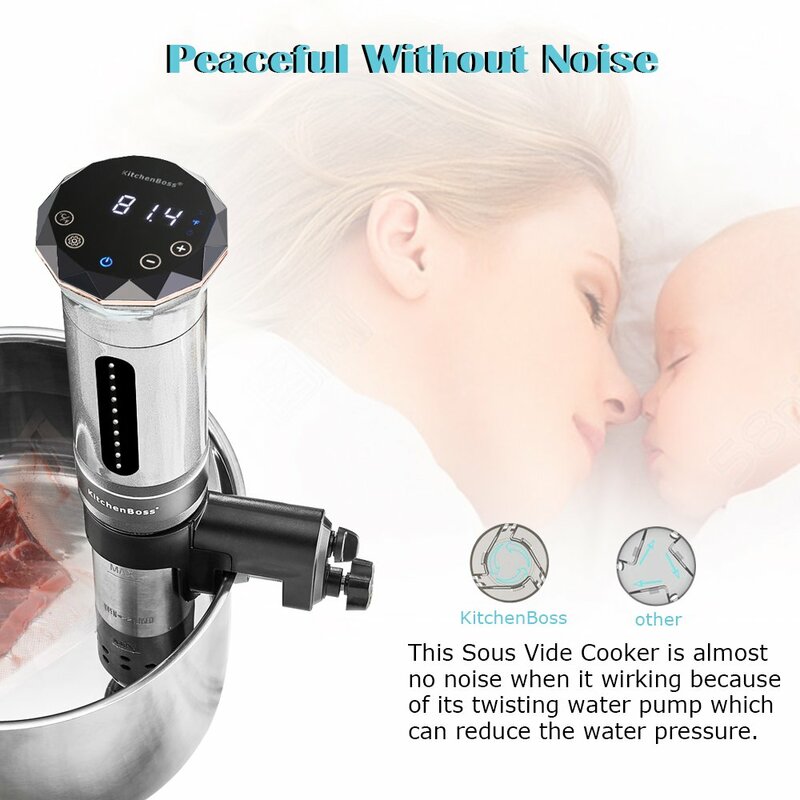 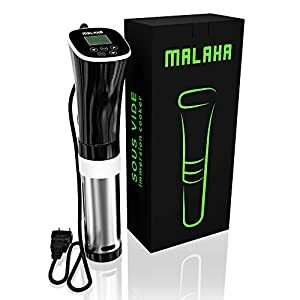 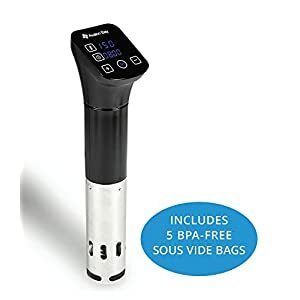 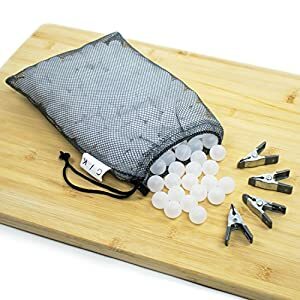 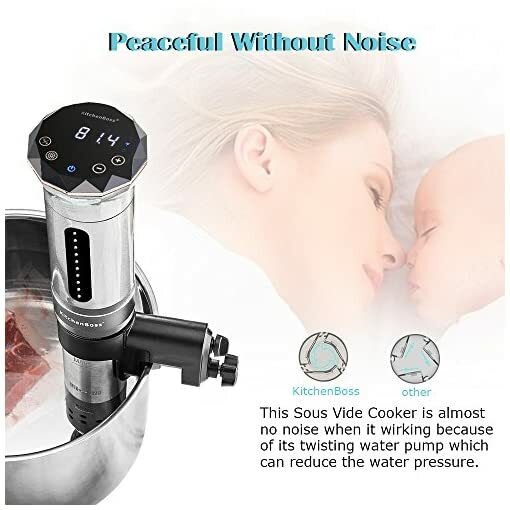 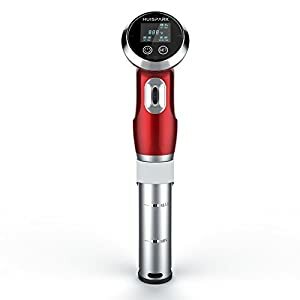 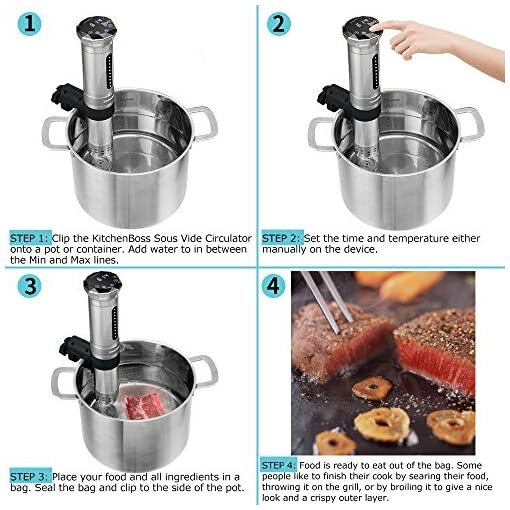 EASY TO USE: just attach the sous vide cooker to any pot, add water, drop in your ingredients in a sealed bag, Simple interface on the device to set the time and temperature manually and hit “ON”. 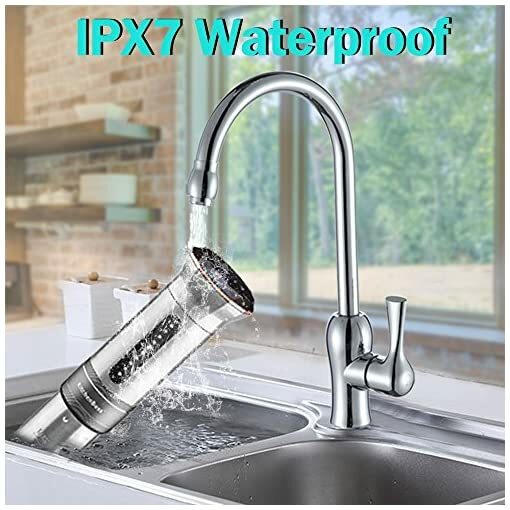 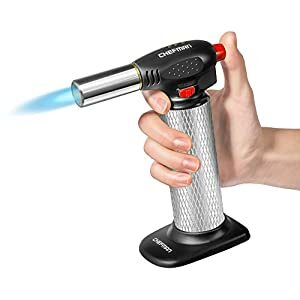 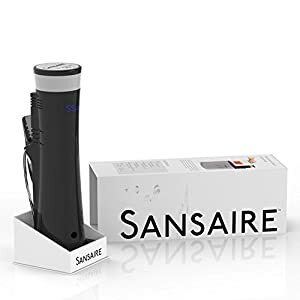 SECURE 2 YEAR WARRANTY: We offer 2-Year Warranty and excellent customer service,which makes your purchase absolutely risk-free and you can enjoy its quality and durability.